I yelled at Alice today. She was tired and something upset her, which led to an epic pre-nap meltdown so I screamed something like, "ALLLLICE! STOP IT!! YOU ARE BEING RIDICULOUS!" It felt terrible as I was doing it and I felt even more terrible after I put her down for a nap and had time to reflect on what I'd done. A few weeks ago, after feeling like I was at the end of my rope with being on the toddler emotional roller coaster, I started reading a book about raising toddlers. And it has been so insightful and so helpful at decoding what is going on in her emotional little brain. Despite all that I've learned from this book, though, sometimes my impatience and my anger still get the best of me and I yell. But I'm working on it, love bug. Mama loves you so much. Try not to be so hard on yourself. We ALL have those days. I try not to yell at my kids but every once and a while it happens. We do the best we can as moms and sometimes those wonderful kiddos push one button too many and we crack. Know you are not alone and your daughter loves you and you are her hero! It happens to all of us! I find that a little space and an apology go a long way! Hang in there, it does get easier, at least in some ways! 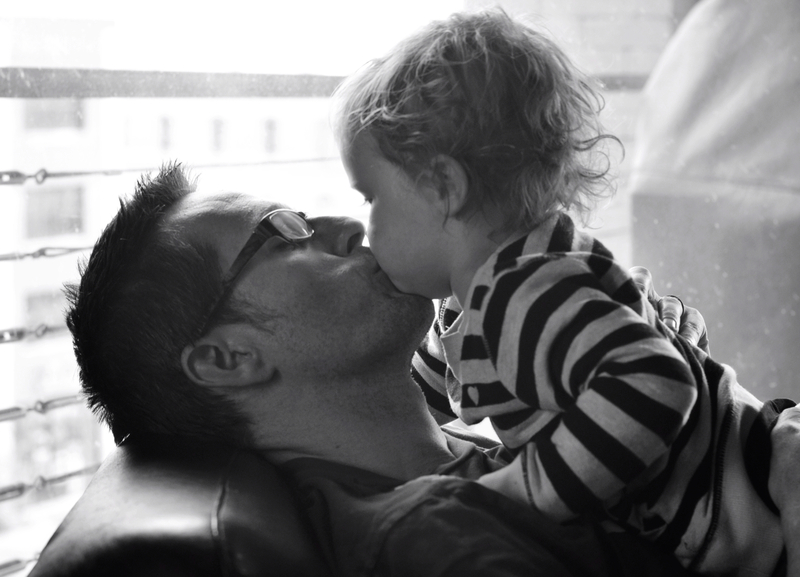 I love the picture of Alice loving on her daddy. When you were little and I was struggling to raise you and your sister as a single mom. I would have melt downs, over react and scream like a crazy woman. Then I would feel so bad about what I had done, I would break down and cry. My sisters gave me some wise advise. Try and step back from the situation just one step backwards and give yourself a few seconds to take a deep breath. It's always hard to do in the moment, but worth it. I didn't kill you and we all survived.